The project is successfully supporting a Young Farmer to increase production from his apiary selling honey and other bee products. The RDP also provided support through links to other related farm development measures. Valentin Velikov established his bee farm in 2009, by buying 75 colonies and organising an apiary in the Essenitsa village. In 2010 he applied for RDP funding - "Setting up for Young farmers" - with the intention of upscaling to 265 colonies within the Langstroth bee hive and acquiring the necessary beekeeping equipment. From 2012 the farm has been making the transition from conventional to organic production. Valentin aims to implement the provisions of Regulation (EC) № 834/2007 (of 28 June 2007) regarding organic production and labelling of organic products and related regulations. The project objectives are to: increase the number of colonies from 75 to at least 265; increase the annual income generated from the farm by at least 150% over the first three years; modernise the agricultural holding and achieve compliance with the requirements for safety, environmental protection, hygiene and animal welfare, and; make investments in order to assure that the farm complies with EU standards within the field or organic products. The main activities of the project are: increasing the rate of bee breeding and purchase layers (in order to achieve the objective of increasing the number of colonies from 75 to at least 265), and; purchasing modern beekeeping equipment and introducing improved, mechanised, work processes. 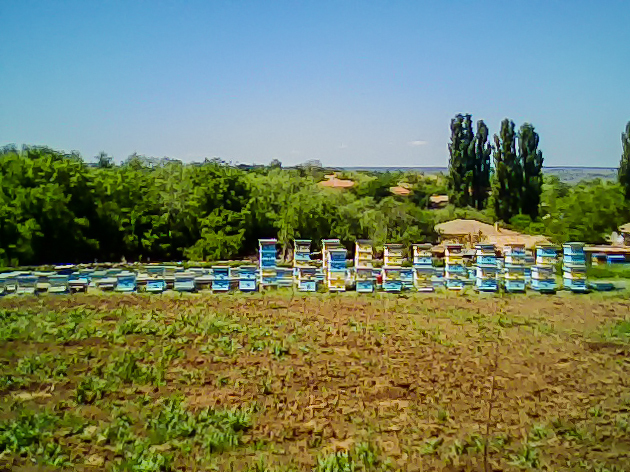 The project is on-going but its implementation is expected to enable: an increase in the number of colonies; increased productivity and improved breeding conditions; the Improvement of farm mechanisation through newly acquired means of production and inventory; the improvement working conditions, and; the farm to comply with all European standards for bee keeping and the production of honey and bee products (e.g. pollen). Valentin Velikov feels that measure 112 (Setting up young farmers) is crucial to enable newly established farms to start up efficiently and continually move forward. The project also demonstrates the benefits of ‘joined-up thinking’, both by beneficiaries and EAFRD managers. Specifically, the Young Farmer support (Measure 112) was linked to support via measures 111 and 143 and the farmer intends to more fully achieve his farming aims with support of measure 214, ‘Agri-environmental payments’. The farm is located in Esenitsa village, Valchi Dol municipality, Varna region, in the low parts of Stara Planina Mountain. Nature in the area is preserved, and it is one of the places in Bulgaria where beekeeping has a long tradition and history. This project is linked to two other related measures and grants - Measure 143 "(500€) and Measure 111 (1,750 €).